Treat someone to a little bit of sweetness! 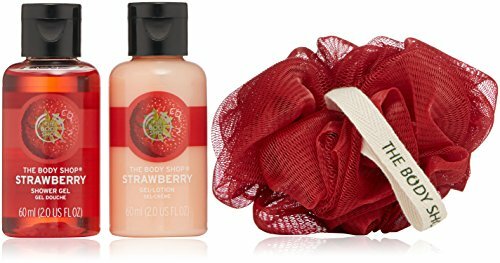 This beauty-full cube is filled with bath & body treats that cleanse, moisturize and leave the skin with a delicious strawberry scent. THE PERFECT HOLIDAY GIFT FOR YOUR BELOVED ONES! Who wouldn't benefit from a visit at the spa? But how often do you really get to take the time to rejuvenate yourself? Our Bulgaria Rose Garden spa and bath gift set will give you a stress relief and a calming experience at an affordable cost. From soaking to cleansing and moisturizing, Lovestee's high end bath set includes everything you need to create the definitive at-home spa experience from start to finish. As much as you'll want to keep this remarkable set all to yourself, it also makes an awesome gift for those overstressed loved ones in your life. Our Spa Gift Basket is the perfect gift for Birthday, Mother's day, Anniversary, Thank You, or for no reason at all. You will not regret investing in high quality products. Click the Add to Cart button now and treat yourself by getting the the Lovestee's Rose Garden Gift Set TODAY! At Lovestee, Our products are protected by copyright and trademark laws under the U.S. and international law. All rights reserved. We stand behind our products with a 100% Satisfaction Guarantee! Cucumber Melon Trio Set: Body Lotion, Shower Gel, and Body Cream.
. THE PERFECT HOLIDAY GIFT FOR YOUR BELOVED ONES! Who wouldn't benefit from a visit at the spa? But how often do you really get to take the time to rejuvenate yourself? Our relaxing Vanilla spa and bath gift set will give you a stress relief and a calming experience at an affordable cost. From soaking to cleansing and moisturizing, Lovestee's high end bath set includes everything you need to create the definitive at-home spa experience from start to finish. As much as you'll want to keep this remarkable set all to yourself, it also makes an awesome gift for those overstressed loved ones in your life. Our Spa Gift Basket is the perfect gift for Holiday, Birthday, Mother's day, Anniversary, Thank You, or for no reason at all. You will not regret investing in high quality products. Click the Add to Cart button now and treat yourself by getting the Lovestee's Fashion Vanilla Spa Basket TODAY! At Lovestee, Our products are protected by copyright and trademark laws under the U.S. and international law. All rights reserved. We stand behind our products with a 100% Satisfaction Guarantee! THE PERFECT HOLIDAY GIFT FOR YOUR BELOVED ONES! Who wouldn't benefit from a visit at the spa? But how often do you really get to take the time to rejuvenate yourself? 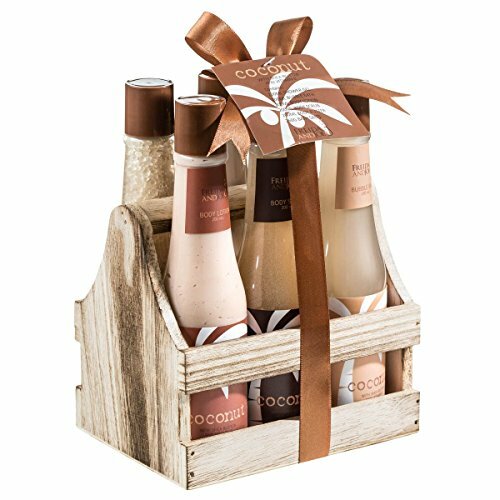 Our exclusive coconut spa and bath gift set will give you a stress relief and a calming experience at an affordable cost. From soaking to cleansing and moisturizing, Lovestee's high end bath set includes everything you need to create the definitive at-home spa experience from start to finish. As much as you'll want to keep this remarkable set all to yourself, it also makes an awesome gift for those overstressed loved ones in your life. Our Spa Gift Basket is the perfect gift for Birthday, Mother's day, Anniversary, Thank You, or for no reason at all. You will not regret investing in high quality products. 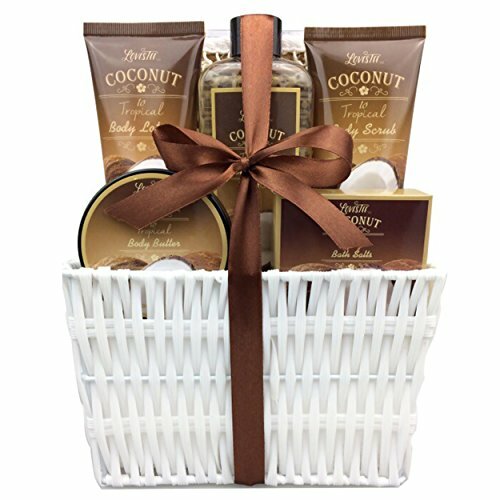 Click the Add to Cart button now and treat yourself by getting the Lovestee's Coconut Spa Basket TODAY! At Lovestee, Our products are protected by copyright and trademark laws under the U.S. and international law. All rights reserved. We stand behind our products with a 100% Satisfaction Guarantee! Our seasonal-edition Frosted Berries range is inspired by a traditional wintertime red berries recipe. Give someone a taste of our seasonal bath and body range with a Frosted Berries Treat Box that makes the Holidays come to life! Filled with mini, deliciously scented surprises, it’s a gift to go wild for this season. Perfect gift for the Warm Vanilla Sugar lover! A Signature Collection of one of America's Favorite Fragrances. Indulge in this cozy, irresistible fragrance. Infused with intoxicating Vanilla, White Orchid, Sparkling Sugar, Fresh Jasmine and Creamy Sandalwood. PURE BLISS The ultimate gift for women! Nourish. Indulge. Seduce. Rachelle Parker's Pure gift-sets provides the most luxurious spa experience. Delight yourself,or your loved ones with the opportunity to freshen up before facing a new day, or enjoy a relaxing evening bath, exfoliate the skin, or gently massaging all while immersed in fresh & delightful fragrances. Infused with irresistible fruit scents reminiscent of bright sunshine and clear blue skies, these gift baskets ensures you get to bring a touch of cleansing, zesty magic to the lucky recipient which is certain to lift their mood and add a bright spark to their day. Perfect for: Holiday Gift Basket, Birthday Gifts, Get Well Gifts, Thank You Gift Baskets, Sympathy Gift Basekts Gifts for teens, Gifts for Men, Gifts for Kids! Compare prices on Shower Gift Set at ShoppinGent.com – use promo codes and coupons for best offers and deals. Start smart buying with ShoppinGent.com right now and choose your golden price on every purchase.